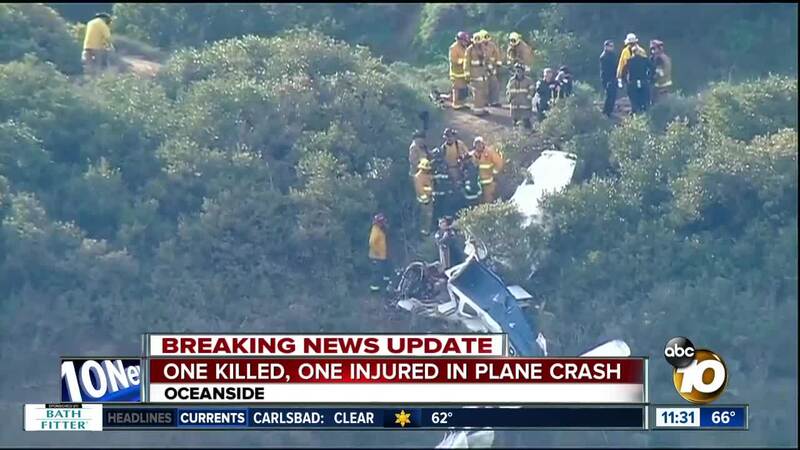 A pilot was killed and a passenger was seriously injured after a small plane crashed on a hillside off an Oceanside-area highway. 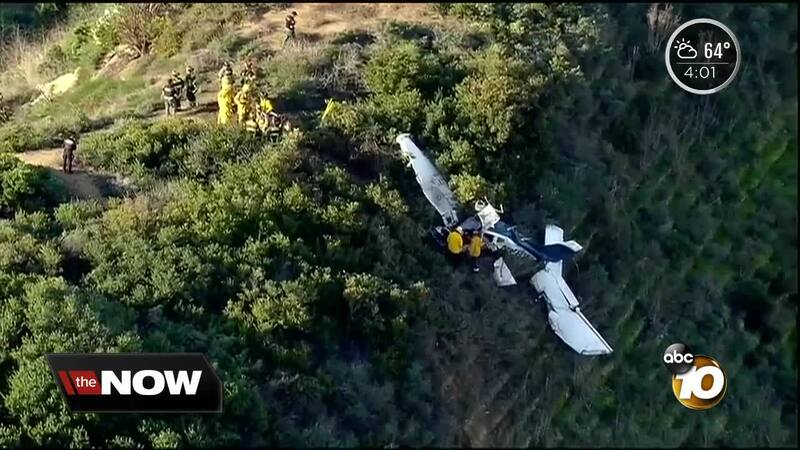 OCEANSIDE, Calif. (KGTV) - A pilot was killed and a passenger was seriously injured after a small plane crashed on a hillside off an Oceanside-area highway. A driver reported seeing the plane wreckage shortly before 7:15 a.m. off state Route 76 near Canyon Drive, according to Oceanside police. Police confirmed the male pilot died in the crash. Emergency crews worked to remove an injured male passenger from the wreckage. The passenger was transported to an area hospital with injuries of unknown severity. The survivor told police that the plane had crashed about five hours earlier, leaving the victims stranded in the wreckage until it was finally spotted by the driver who was on her way to work. While Oceanside Municipal Airport is several miles from where the plane went down, it is unknown if the aircraft was on its way to that airport or if it had departed from there. Due to the emergency response and effort to remove the wreckage, eastbound SR-76 lanes just east of Canyon Drive were shut down. By 1 p.m., all lanes were reopened. 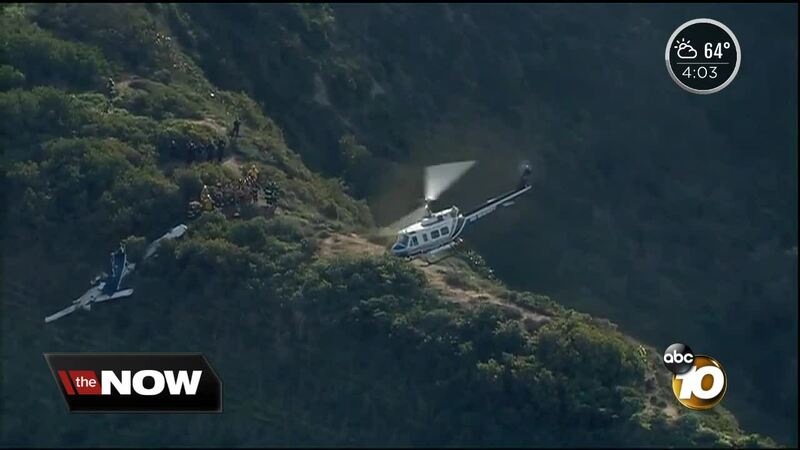 FAA officials said the agency and the NTSB are investigating the cause of the crash.